Netflix CFO David Wells speaks out about Qwikster and other controversial news at Goldman Sachs’s Communacopia conference in New York today. 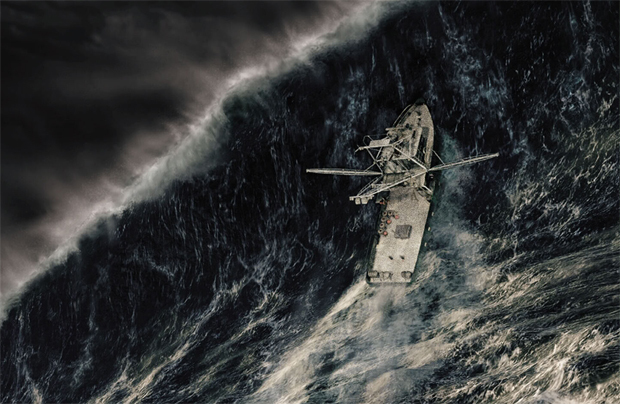 Netflix must feel like captain Billy Tyne in the The Perfect Storm: Just went it’s hit by one massive wave, another one soon drowns the company from any possible respite. Earlier this week, CEO Reed Hastings announced the company would split its streaming and DVD businesses into separate brands, the latter becoming Qwikster.com. Many reacted terribly to the news, especially just after the company recently announced a 60% increase in prices. Normally a company would keep its head down in a similar situation, taking solace in the dog house. But fortunately for those interested, Netflix CFO David Wells had a previous (for us, serendipitous) engagement at Goldman Sachs’s Communacopia conference in New York today. There, investors and analysts were able to ask Wells a series of probing questions. Here’s how he responded. On Netflix As A Streaming-Only Site: Will It Add More Streaming Services Such As Video On Demand? “Traditionally what we’ve said about VOD is that it’s a low margin business. We weren’t that interested in it because it would complicate the simplicity of the offering. We’re looking at a number of different options, in terms of making it convenient for folks to find that content [on Netflix] rather than going to a competitor or another site. I wouldn’t expect that to be our reaction right now, but certainly in the evolving market, we’d look at it and other things as well.